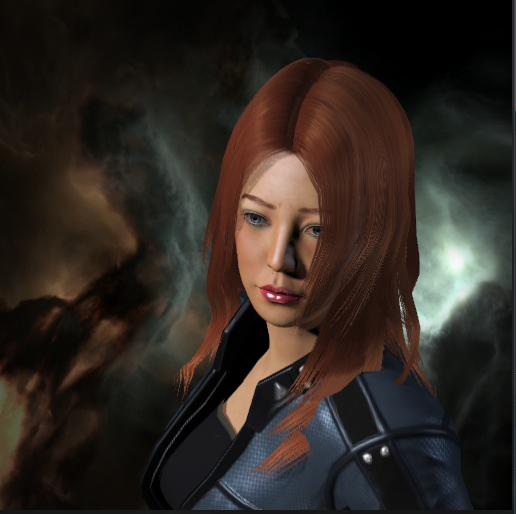 Recently I was informed LadyOfWrath (LoW) had returned to EvE Online and after a few conversations was lucky enough to land an interview. Before we dive into the details I want to provide a small bit of history for those who do not know this character due to a long absence from EvE Online. Starting an EvE career in early 2006 LoW has spent more than a decade running large industrial operations throughout New Eden. In 2008 LoW started mass producing freighters with a loan from EBANK quickly becoming one of the largest volume producers in EvE Online. After paying back the loan LoW continued to revamp operations. During this time LoW ran lotteries, advised industrialists, and began 3rd party transfers leading into late 2008. In April 2009 LoW began what would then become the most successful legitimate IPO with completed payouts to investors in EvE history. This IPO ran for over a year and was purchased by Varo Jan for 175b in 2010 with Grendel as 3rd party. During this era LoW’s operation was one of the largest aside from known super capital builders of the era that existed outside major power blocks. In late 2009 LoW started development of the first virtual stock exchange designed for EvE Online along with Roquezir. This design was then traded to Eve Central Reserve, however the details of where it is now is unknown. LoW was also asked to join EBANK in early 2009, only to see Ricdic steal 200b+ from EBANK and engage in RMT shortly afterwards. LoW was so new at the time he didn’t even have roles yet with his banking character. In late 2010 LoW along with Adiohyperion (a close RL friend) began mass producing T3 cruiser hulls and exploring wormholes and effectively closed further public ventures aside from 3rd party transfers. For the next few years LoW engaged in null security trading, amassed a jump freighter fleet, and got a feel for PvP. He was able to single handed supply entire markets for alliances, push out gougers, and fuel fires with heavy supply lines where needed. This type of rapidly deployed markets earned him the nick name “Lord of War” from the 2005 movie from his alliance pals. The ability for large fleets to quickly reship at all times always provided a much needed edge. In 2015 LoW finally put EvE on hold only to return a few months ago with the introduction of Citadels. With all of the above in mind and lots of research, I give you the Q & A between myself and LadyOfWrath. Q. So with your decade in EvE what brings you back to the game after a break? A. Well I am always looking for new content in the game. One of the best was the introduction of wormhole mechanics with the release of Apocrypha. Fozzysov changed null mechanics in a great way as I enjoy small gang warfare. Citadel now adds a new dimension to digging into territory. Combined with the new sov mechanics the increased content generation has been a lot of fun. Now they just need to fix dropping citadels on grid with stargates and placing things like the ESS inside citadels. Q. Most of your past has been industry related, and some of this in the public sector. Will you entertain returning to public endeavors? A. Honestly I spent the greater part of a decade working for other people, making fortunes for others, and amassing wealth myself in EvE. Other than the occasional 3rd party transfer for someone I know I would consider myself retired from that arena. I plan on blowing things up with my pvp character and helping my current alliance with market supply unless something comes up I can’t refuse. Q. If you could personally change any one thing in EvE what would you change? A. An unexpected, but great question. I would have to say jump fatigue with covert ops ships has been a primary concern for me. I understand capital ship’s reach needed to be toned down, however small covert forces shouldn’t have this penalty. This would increase use of them far more than they currently are. Q. Given the length of time you have played EvE how do you feel about the direction the game has taken? A. Well CCP listening to the players is always key. I have seen companies rise and fall for this one reason alone. They have been hit and miss on this through the years, but overall have done a pretty good job, albeit slow on the draw. Some of the major game play issues take 4 or more months to fix where most console release titles would fix it in a matter of days or weeks. This mostly boils down to balance issues, broken mechanics, flaws found in ships, etc. In my opinion CCP needs to take a hard look at introducing new ships with new unique abilities to cause a meta change. On the other side start some different racial incursions, get back to regular public events, and blow up a star or something. Involve the players and make them WANT to log in. Stay away from boring grind fests. The players have changed and so should CCP. Q. If you could plan the content for the next expansion what are three things you would add to the game? A. Latch – Mid slot Allows you to latch onto any ship. If the ship you are latched onto initiates a micro jump you go with it. I have wanted this since MJDs were introduced. Would be so much fun for fleet fights. I would add 3 new regions with an entirely new racial NPC along with drops such as implants, faction gear, officer gear, and deadspace stuff. Okay so that is a lot of things, but lets just count it as one. Lastly a jump capable version of the Bowhead with larger fleet hanger than any other ship. Q. After a decade of playing what do you find to be the most appealing aspect of EvE? A. Well given my first four years I was solely industry and had a great time building virtual businesses I would have to say the One Stop Research alliance was the most fun I had on that level. The ability to build whatever you can imagine in EvE is what kept me playing for so long. You are only limited by your mind here. At the same time I grew to love PvP and may have stopped playing had I not ventured to the dark side. Q. After asking around I found almost anyone would love to have you in an alliance so why did you choose INFAMOUS? A. Well I was a part of Darkness before I took my break and when I logged back in INFAMOUS owned the area. I really didn’t feel like moving all my assets so I just joined them. Also a corp I was formerly associated with was already in the alliance. I don’t hold any grudges and look at myself as an honorable person. Helps to not burn bridges in game you play for over ten years. Some people make bad decisions and it follows them forever in New Eden. As long as INFAMOUS continues to provide content I am content to stay put. Q. If you could only give one piece of advice to a new player what would it be? A. Figure out what you enjoy doing then join a corporation with at least 100 people doing the same thing in your timezone. This game is as much about the people playing as the content your are striving for. I have had more nights just chatting away on teamspeak with the guys than I can remember. When my son was born a few investors in my IPO actually sent me clothes for him and I still have one with “Future Pod Pilot” sewn on the front by hand. The community is what makes EvE great. Q. What is one thing EvE related you wish you could do? A. I would have to say go to Fan Fest in Iceland. I tried to make plans to do it on three occasions, however work or finances always had other plans. Since they started them I have sat on the sidelines and watch it all or heard about all the fun from friends who have been able to attend. I would love the opportunity to speak to newer players about the history of EvE. Q. What is one valuable lesson your learned from EvE Online? A. Trust in the rust…just kidding there, but seriously I would have to say trust in general takes a lot to earn in EvE and once gained can be destroyed in the blink on an eye. The same applies to the real world. I want to thank LadyOfWrath for the time today as it really gave me new insights to what is possible in EvE Online. As a writer researching his past and reading through hundreds of posts it seemed like flipping through a history book. LoW I wish you the best in whatever you do next and hope you get to make it to Fan Fest in 2017. For my readers thanks for taking the time to read my article and please leave comments below. ckPMyM Very interesting subject , thankyou for putting up. I do accept as true with all the ideas you’ve presented for your post. They’re really convincing and will certainly work. Nonetheless, the posts are very short for newbies. May you please lengthen them a bit from next time? Thanks for the post. I wish to express some thanks to the writer just for rescuing me from this type of incident. After searching through the the web and meeting suggestions which were not beneficial, I figured my entire life was over. Being alive without the presence of solutions to the difficulties you’ve solved by means of your good guideline is a serious case, as well as those which might have negatively affected my entire career if I hadn’t encountered your web site. The skills and kindness in maneuvering every item was tremendous. I’m not sure what I would have done if I hadn’t discovered such a point like this. It’s possible to at this time look ahead to my future. Thanks so much for this high quality and amazing help. I will not be reluctant to refer the website to any person who should have support on this issue. Aw, this was an extremely nice post. Taking the time and actual effort to produce a very good article… but what can I say… I put things off a whole lot and never seem to get nearly anything done. I have a business blog whereby I provide particular products as well as services. It is additionally a general-information blog site, nonetheless. I am looking for to move it to another blog site host. I understand that blogspot provides user-sponsored marketing, yet exist any type of various other free blogs that enable something like blogspot’s adsense and/or user-sponsored advertising and marketing?.